Producers' preferences: As bellwethers forOscar's best picture race go, the Producers Guild of America (PGA) is about as good as it gets. Over the last eight years – the ceremonies held from 2008 through 2015 to honor films released from 2007 through 2014 --there's been a 100 percent match-upbetween Oscar's best picture winners and the films winningthe PGA's Darryl F. Zanuck Award for Outstanding Producer of Theatrical Motion Pictures. That's the guild's equivalent of a best picture award. The PGA/Oscar winners were: 2008 – "No Country For Old Men;" 2009 – "Slumdog Millionaire;" 2010 – "The Hurt Locker;" 2011 – "The King's Speech;" 2012 – "The Artist;" 2013 – "Argo;" 2014 – "12 Years a Slave"(which tied in the PGA vote – a first for the guild -- with "Gravity"); and 2015 – "Birdman." If we go back another eight years, so that we're adding the ceremonies from 2000 through 2007covering releases from 1999 through 2006, the two races had identical winners 50 percent of the time. The PGA/Oscar winners were: 2000 – "American Beauty;" 2001 – "Gladiator;" 2002 – "Moulin Rouge" (PGA) and "A Beautiful Mind" (Oscar); 2003 –"Chicago;" 2004 – "The Lord of the Rings: The Return of the King;" 2005 –"The Aviator" (PGA) and "Million Dollar Baby" (Oscar); 2006 – "Brokeback Mountain" (PGA) and "Crash" (Oscar); and 2007 – "Little Miss Sunshine" (PGA) and "The Departed" (Oscar). Over the entire16 year period, the PGA and Oscar best picture winners matched up on a dozen occasions– an impressive 75 percent of the time. With the PGA's award Saturday to "The Big Short,"the question now is whether the strong correlation between the two awards will turn into a nine year winning streak? We'll find out when Oscar's best picture envelope is ripped open Feb. 28, but for now it seems a good bet that "Short" will also take home the Oscar. 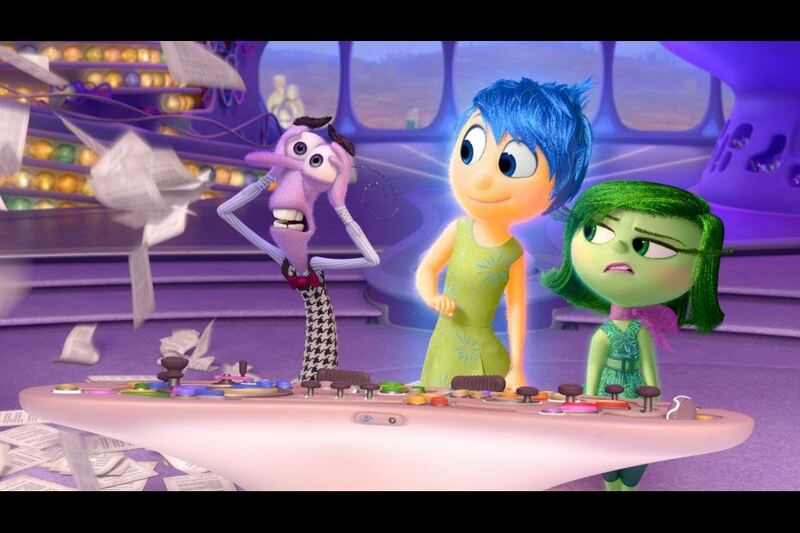 Other good Oscar bets include: Disney and Pixar's "Inside Out," which won the PGA's best animated feature award; and A24's "Amy," winner of the PGA's best documentary feature award. Why do the PGA and Oscar match-up so well? In part, it's because they both use the same preferential voting system to determine who wins. In 2009 after the Academy announced it was expanding its best picture nominees from five to 10, the PGA said it would do the same. The Academy's idea was to add more nominations slots and, therefore, have room to include a few mainstream movies that those watching at home had actually seen and, therefore, could root for. The goal was to try to shore up the telecast's slipping ratings, which insiders said stemmed from the Academy's preference for nominating specialty dramas that hadn't played nationwide or been embraced by mainstream moviegoers. For the most part, the desired change didn't take place and the additional slots mostly went to more specialty films. After a few years, the Academy changed its mind again and went from having 10 nominees to having "up to 10" nominees. In fairness, this year is a big exception since five of the eight best picture noms arefor big studio wide releases –"Short" (Paramount), "Bridge of Spies" (DreamWorks/Disney), "Mad Max: Fury Road" (Warner Bros.), "The Martian" (Fox) and "The Revenant" (Fox). Only three of the current nominees are small specialty films – "Brooklyn" (Fox Searchlight), "Room" (A24) and "Spotlight" (Open Road). By comparison, last year's eight best picture Oscar nominees included only two big studio wide releases – "American Sniper" (Warner Bros.) and "Selma" (Paramount). The other six contenders were specialty films: "Birdman" (Fox Searchlight), "Boyhood" (IFC Films), "The Grand Budapest Hotel" (Fox Searchlight), "The Imitation Game" (The Weinstein Company), "The Theory of Everything" (Focus Features) and "Whiplash" (Sony Pictures Classics). In September 2009, the PGA said that like the Academy it would now use preferential voting to determine its nominees and winners. Without getting into all the ins-and-outs of this totally byzantine method of voting, let's just say that in the best picture category, voters rank the nominees by preference and the film with the highest average ranking wins. Because in such a system second-place votes are also important, it's possible for a movie to win even if it doesn't receive the most first-place votes. There's a difference, however, between how the guild and the Academy structure their votes -- PGA voters list 10 films while Oscar voters only specify five titles. In any event, with preferential voting linking the PGA and the Oscars, it's not surprising that the results tend to be similar. Indeed, seven of this year's eight best picture Oscar nominees also received PGA nods -- "Short,""Bridge,""Brooklyn,""Road,""Martian,""Revenant"and "Spotlight. ""Room," which is Oscar nominated, is not a PGA nominee. Academy, most of whom are male, white and in their 60s or older (voting membership was for life until the Academy announced changes last week to try to deal with diversity issues that are plaguing it again this year). Because producers are a prestigious group, their awards may influence how some Academy members wind up voting. Bottom line:"Short"appears to beOscar'sfront-runner for best picture right now thanks to its PGA victory.